Holistic Therapist Magazine is the industries NO. 1 Business magazine for the holistic therapist. The magazine was designed to give holistic therapists all the tools, advice, and support they could possibly need to run a successful business. The magazine is designed to be un-intimidating, visually stimulating and is also packed with inspiring case studies, lifestyle articles and reviews to give you a great business magazine that you will look forward to reading. 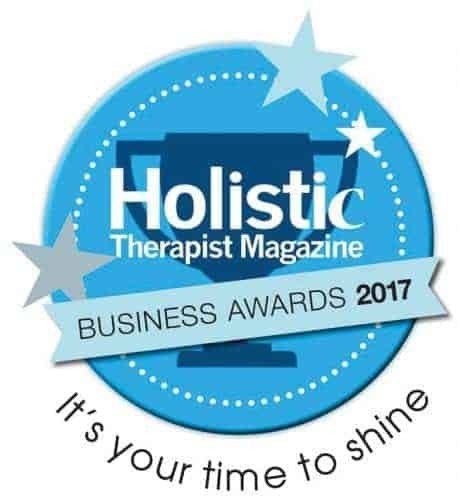 Understanding ‘personally’ how tough starting and running a business can be, Holistic Therapist Magazine guide you with the RIGHT advice from a carefully chosen group of industry professionals, who will share what they have learnt along the way, to make your journey as enjoyable and as trouble-free as possible. Holistic Therapist magazine is all about turning your passions into successful careers. Click here to register for FREE to attend the event! Why do you feel the industry needs a Business Awards? There are many amazing people in our industry that are not recognised for the amazing things they have done. We wanted to recognise those individuals that have experienced incredible journeys and want to celebrate their achievements. Where are the Awards going to be held? STAR PRODUCT OF THE YEAR: The Star Product has to have real star quality, either in tapping into a new market or enhancing or reviving an existing market. Ideally, it will have generated impressive sales and possess all the hallmarks of a new classic. Click here to apply. BEST NEW BUSINESS: This award category is open to those that began trading on or after 1st January 2014. The Award celebrates the highest performing new companies, both financially and in broader terms. Click here to apply. BEST PRACTITIONER: For the Best Practitioner Award the judges will be looking for great communication, inspiration, regular activity on social media, creative marketing campaigns, setting up groups, a great website, and fantastic testimonials. If you know a real star, let us know. Click here to apply. STUDENT OF THE YEAR: The quality and calibre of our students is what will shape and inspire our much loved industry for generations to come. This award is for the student who has exceeded their expectation to qualify and an outstanding dedication to learn and be the best they can be. Click here to apply. INSPIRATION AWARD: There are people who climb seemingly impossible odds to achieve their dream. There are so many amazing individuals in our industry that should be recognised for the inspiration they provide. Please tell us about someone you found an inspiration and why he or she should win this award, or tell us about your own inspiring story. Click here to apply. BEST TRAINING SCHOOL: Training schools are key to shaping the quality of therapists, who grace our incredible industry. It is vital that students not only have the best training available to learn their chosen field, but also that they have the confidence drive and support to turn their dreams of practising into a reality. Tell us what makes your school an exceptional training provider and worthy of an award. Click here to apply.